President Donald Trump accused Democratic leadership on Sunday of orchestrating a government shutdown to distract attention away from the current news cycle that has been beneficial to the Republican party. The Homeland Security funding conference committee, comprised of House and Senate members of both parties, signaled last week that they are nearing a final border security deal that could be voted on prior to the Feb. 15 funding deadline. However, Republican Alabama Sen. Richard Shelby, a key member of the committee, revealed on Sunday morning that negotiations have hit a stalemate since Democrats demanded a limit to how many criminals Immigration and Customs Enforcement (ICE) is allowed to detain. The new dispute raises the prospect of another government shutdown when funding expires at the end of the week. 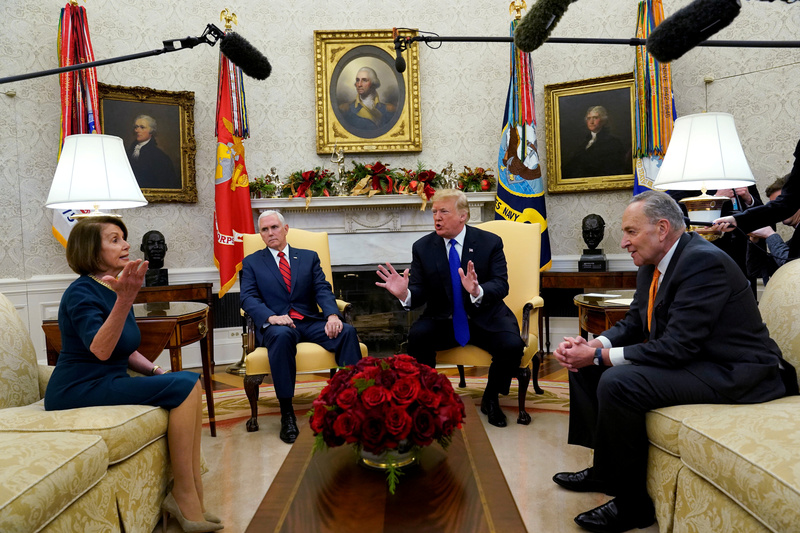 Voters largely blamed Trump and the Republicans for the shutdown that occurred in January, which Trump alleges is the reason for Democrats’ refusal to make a deal and keep the government running.